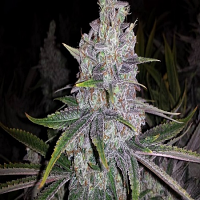 Magic Crystal cannabis is a sativa/indica cross between White Widow and California Orange specially created by the De Sjamaan for everyone who longs for an indica body relaxing effect combined with a strong cerebral sativa high. 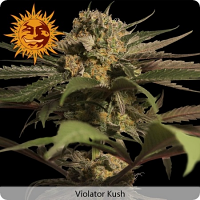 Regular seeds of this variety retain the highest qualities of both strains. 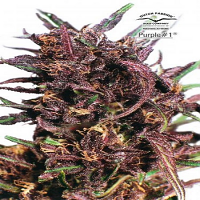 Strong indica genotype makes Magic Crystal's cultivation easy and quick. It also influences her yields. 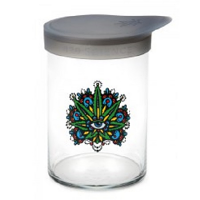 Sativa genetics give this marijuana a unique sativa high. Magic Crystal's seeds from the De Sjamaan are all hand selected and thoroughly tested, they show nearly 100% of germination and suitable for indoor and outdoor cultivation. Indoor varieties need just 50 days from seed to produce beautiful nuggets. Outdoor flowering lasts from May/June till October. Plants' size varies from 75 to 150 cm depending where these cannabis seeds are grown. These dark green plants have a strong elegant stature with a well developed branching system, slightly bushy at the bottom with a long central cola. 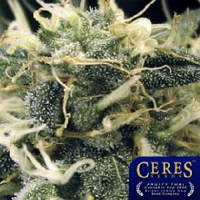 When fully matured, the whole plant glitter in the sun because of shiny crystals developed everywhere - stem, leaves and, of course, big sturdy buds. 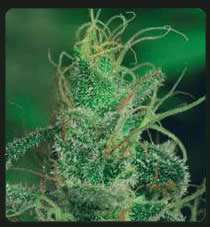 This strain is very resinous, the bud sites seem to grow everywhere filling any gab they can find. When grown indoors, Magic Crystal responds well to any growing methods, her average marijuana production indoors is 300 gr per m2. Outdoor yield depends on growing conditions and may reach 500 gr per plant. A nice floral smell with some earthy hints is quite discreet and can be easily confused with a smell of an ordinary plant. A sort of the same smell remains in the cured product, making her smoking smooth and pleasant. Magic Crystal's marijuana gives a buzz which is stoned rather than high with strong fruity taste.